Insert a cigarette into the new Draw-Matic car lighter, push the surrounding ring in, and in a few seconds the ring pops back to deliver a well-lighted cigarette. 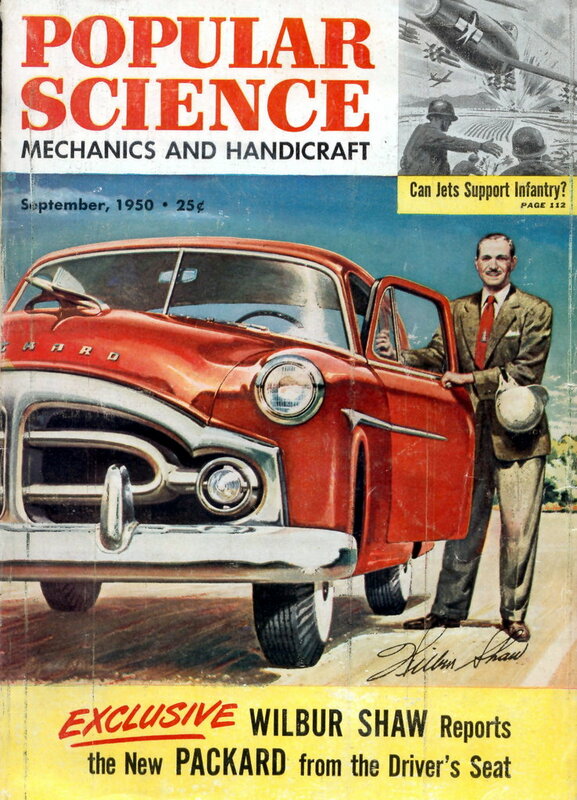 The first few puffs needed to give a sure, even light are supplied by the device itself, which is linked to the wiper vacuum line. 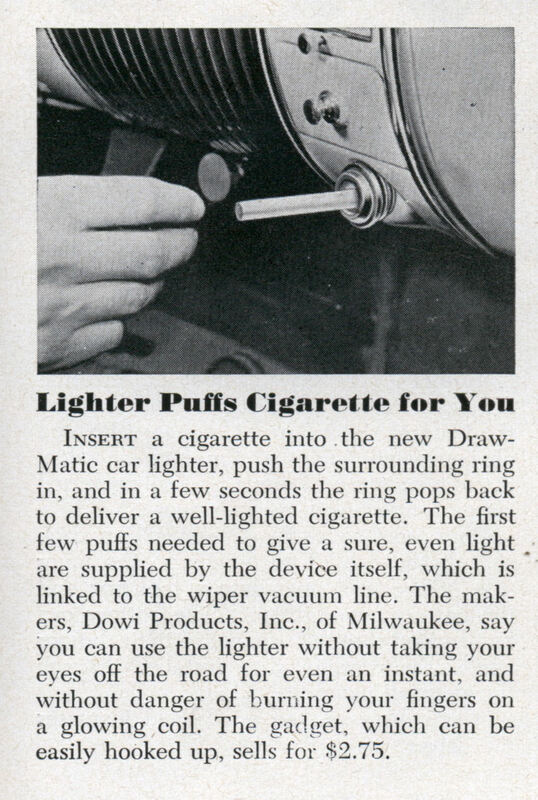 The makers, Dowi Products, Inc., of Milwaukee, say you can use the lighter without taking your eyes off the road for even an instant, and without danger of burning your fingers on a glowing coil. The gadget, which can be easily hooked up, sells for $2.75. i had one of these and would iike get another one,cant fine them. can you tell me where to find it.